Ah, the sweet scent of fragrant flowers in bloom! Seriously, though, you'll love the four close-up images included in this unique garden-themed collection: lovely lilies, a solitary chrysanthemum, an early-blooming crocus and the stalwart hydrangea. 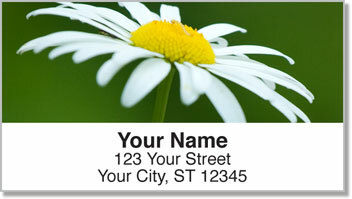 Our self-stick labels are a terrific home office accessory. 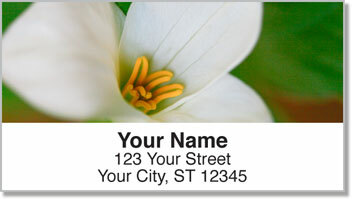 They let you prepare your outgoing mail quickly and conveniently, so there's no need to scribble your return address on every envelope. 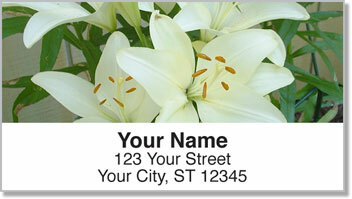 You can also use them to identify other personal belongings such as video games, books or DVDs, to name a few. 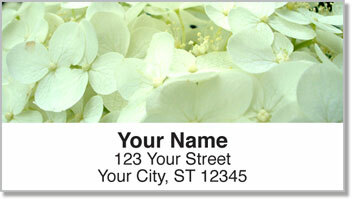 There's no good reason to delay-order your very own White Flowers Address Labels and matching personal checks today!